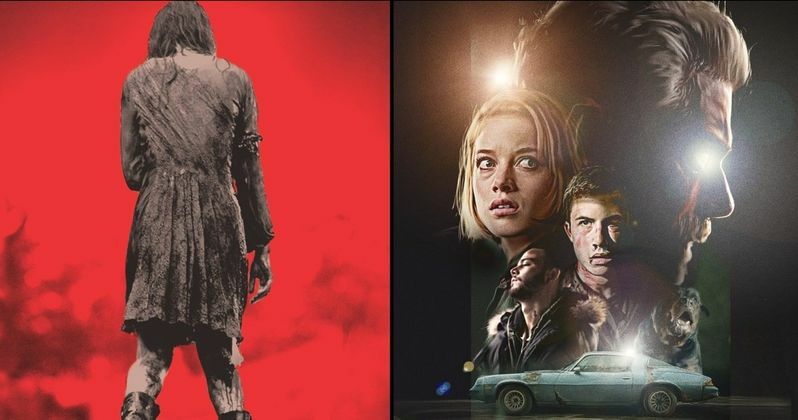 Not long ago, Fede Alvarez tweeted to his fans, asking if he should do Don't Breathe 2 or Evil Dead 2 next, with the latter option being the runaway favorite. I recently had the chance to speak with the filmmaker in honor of his latest movie, The Girl in the Spider's Web. During the conversation, I asked Fede Alvarez about possibly doing a sequel to his Evil Dead remake as his next movie, given the Twitter poll, and whether or not he would even try to talk Bruce Campbell into reconsidering his retirement. While Alvarez wouldn't touch the subject of Campbell, here's what the filmmaker had to say about it. "I've learned to shut my mouth when it comes to these things. It tends to turn into headlines. We just never want to play with anyone's expectations. When I tweeted that I was interested in seeing what people prefer. We were having some internal debates about what people would be interested in most. Unfortunately, Evil Dead 2 won. Which, I guess I would have preferred Don't Breathe 2 to win because it's one of my own creations. Obviously Evil Dead has the bigger following. So that's what happened." His sentiment is quite clear. Fede Alvarez, creatively speaking, has more interest in tackling Don't Breathe 2. But speaking a bit further, he revealed that it doesn't mean the movie won't get made, as he may step back and take on the role of a producer, letting someone else fill the director's chair. Alvarez also notes that Evil Dead 2 doesn't have a script, whereas Don't Breathe 2 does, which is an important advantage. "It doesn't mean that we won't make them. And that I make them might not be that I'm directing, but I might be producing. They're just ideas right now. Nothing to announce officially. We do have a script for Don't Breathe 2. That's the only difference. We don't have a script for Evil Dead 2. But we do have a script for Don't Breathe 2 that we wrote. Once I'm done with [The Girl in the Spider's Web] we're gonna start thinking of ways to bring that story to the screen. Me directing or me producing. It really depends on the time that we'll have. I'm particularly excited about that because it's a really different sequel, when it comes to sequels. It's a very different approach and I'm excited about that. When Starz canceled Ash Vs. Evil Dead, it was a huge blow to fans of the franchise. But it's been promised that other iterations of the series will be popping up. For many, the most logical place to go, given that Bruce Campbell said that he's retiring as Ash, would be to finally make Evil Dead 2. The remake grossed $97 million, working from a budget of just $17 million, making it a pretty big success. There is certainly an appetite for more from fans right now. However, as Fede Alvarez notes, there are no official plans currently and they would need to get a script done first. It's also worth noting that Alvarez is also attached to Labyrinth 2, which could get in the way. So it sounds like this still could be a long way off from actually happening. But Sony likes working with Alvarez and horror is a big-ticket item in Hollywood right now. A sequel or another reboot of some kind feels inevitable.